In a previous blog post , we described how the industry is changing: More and more system houses are integrating managed services into their portfolios, thereby becoming Managed Service Providers (MSP). To keep up with this trend, we have fundamentally reworked the licensing for the MailStore Service Provider Edition (SPE). The new licensing and pricing model makes it easier to get started with email archiving as a service. The MailStore SPE does not entail setup fees, and is already ready for use for when there are over 50 users, making it the perfect solution for system houses and resellers who are interested in also providing ideal support for small companies or customers without their own infrastructure. This software is geared towards service providers who would like to address the topic of managed services in the future as well as managed service providers who are already established. Thanks to comprehensive branding options, MailStore is marketed as its ‘own’ product, which means that there is a lot of freedom in terms of designing the service. 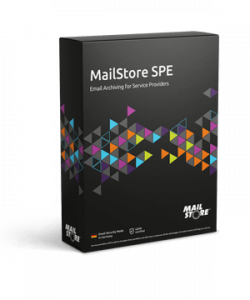 At the same time, the MailStore SPE offers ideal cross-selling options for service providers who already offer email as a service, for example. Register as a service provider now and receive a 30-day trial version, detailed pricing information, and the dates for our free webinars.